This article is for Magento Store version 2.0 and above. If you're looking for integration document for older versions of Magento > Click Here. 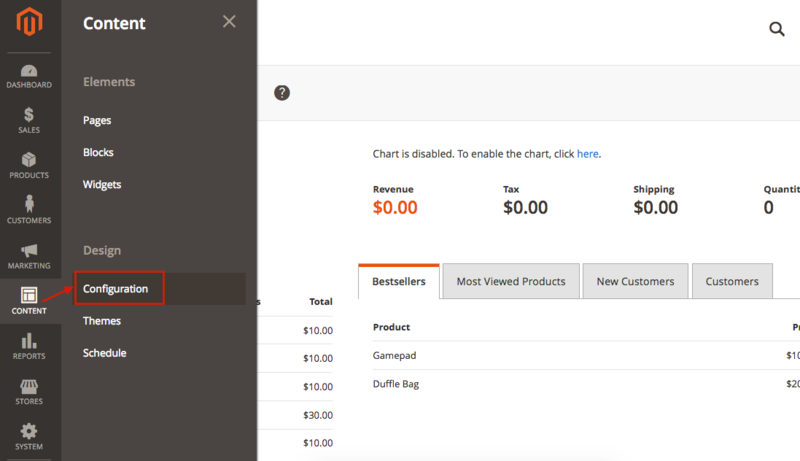 For signed in users, you can view Live cart info, history of orders, the list of items and statuses of each order. For guest users, view history of orders placed, the list of items and status of each order. 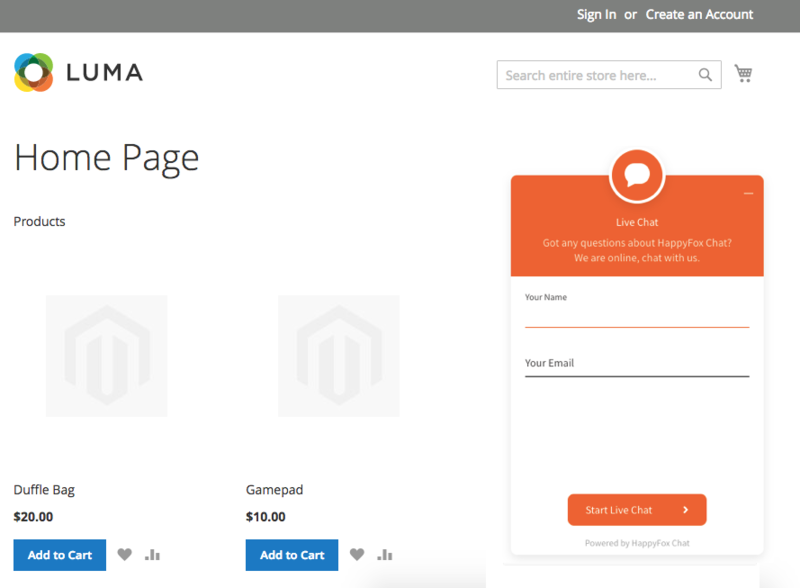 Magento integration is available from Mighty and above plans. 2. Go to Apps → E-commerce → Magento 2. 4. Enter your Magento store's URL, Username, and password and click Connect button. 5. 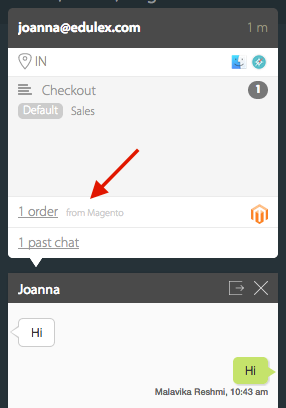 Now your Magento Account is integrated with your HappyFox Chat account. 6. Update your preferences under 'Settings' and click 'Update Settings' button. 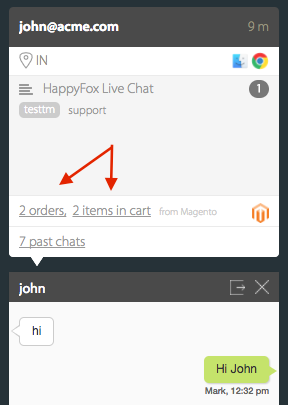 How to install HappyFox Chat widget in Magento 2.0? 1. 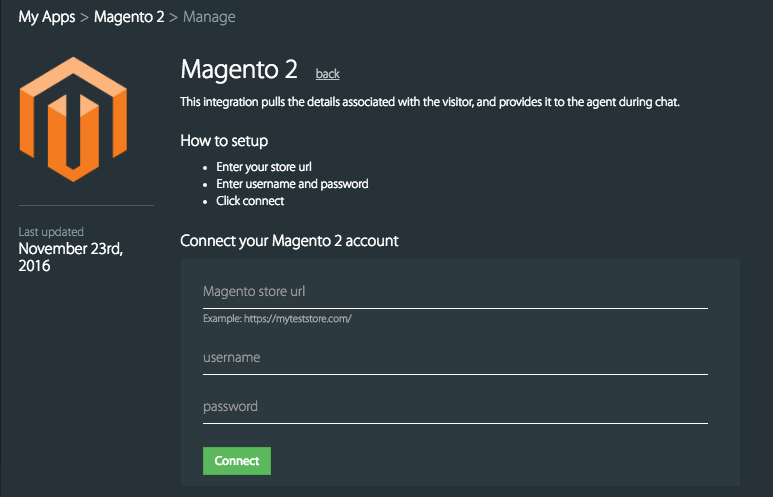 Log in to your Magento 2.0 account. 2. Go to the Content tab on the left pane and Click "Configuration" under design. 3. Click "edit" option on the site and paste the installation code under Footer tab and Click "Save Configuration". Can I use limited permission Magento 2 user account to integrate? 1. 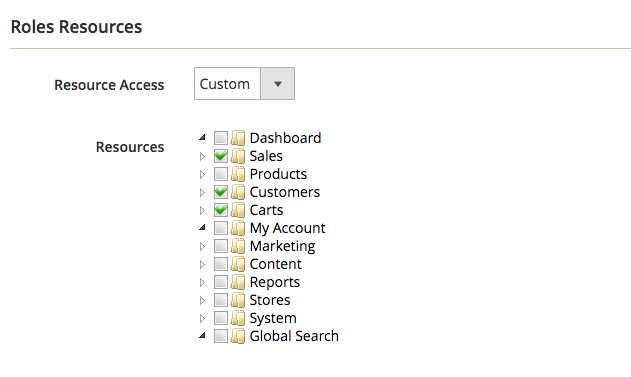 Create an API user role and allow the role to access sales, customers, and cart. 2. Now assign this role to a user and integrate.